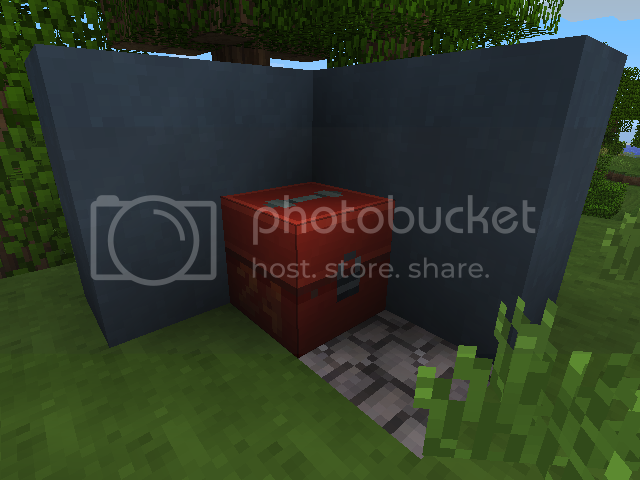 This is my first texture pack, basically I was tired of the TF2 packs that exist either being 32x32/64x64 or outdated, so I'm making my own 16x16, that uses inspiration from textures from various TF2 maps. 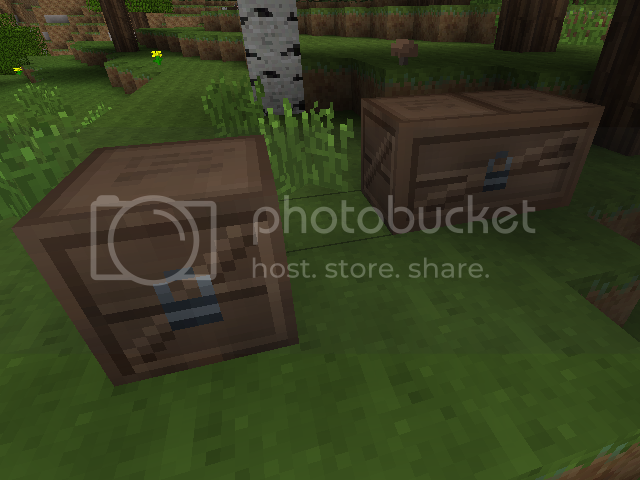 So you can already imagine that this will be a cool first-texture pack of mine! I'm hoping to get all the terrain done and then work on items. Hmm, actually looks very nice, I might use it as a standard pack for my TF2 map on this server, please make Clay BLOCKS look like parts of the BLU base. Just the normal clay blocks? I'll make them look like BLU coloured smooth wall. Stop The End Of The World [ 2012 ] *BAM* CLICK IT YOU KNOW YOU WANT TO !!! Will this do for the clay walls? Also that's the workbench there, I tried to make it look like the engineer's tool box. And what do you mean amazing and different? At the moment I'm trying to make it look TF2-ish! whoah, looks really good! I think the wood looks a bit weird with the red stripes, they clash a bit too much if you ask me. If you mean the red stripes on the planks, I've fixed that now. 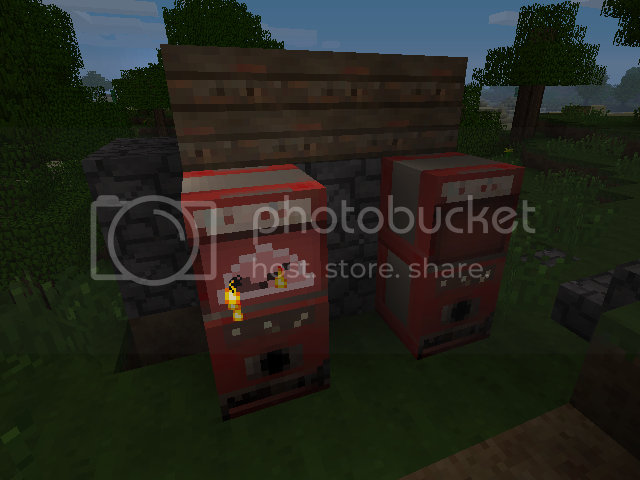 I've never put a furnace over a dispenser until today! I really love what your going for. The wooden sword will be the sandman. 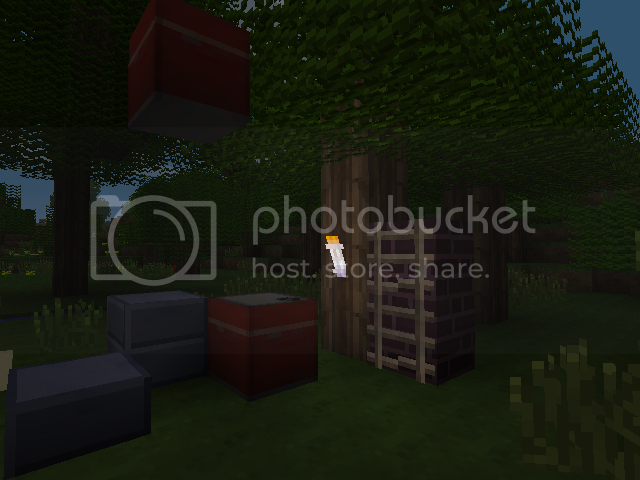 I made the crafting table into the engineer's tool box, not sure what you mean by toolkit though. I'm very impressed and I can't wait to see more of this. Leaves, brick redone, stone steps, torches (Candle), TNT (Gasoline, need to put a fire symbol on it or similar). Sweet texture pack, I can't wait for it to be finished! Very nice. When this is done I'm definately gonna use this. Sorry I haven't updated, I've been using it myself a lot and am slowly adding to it. 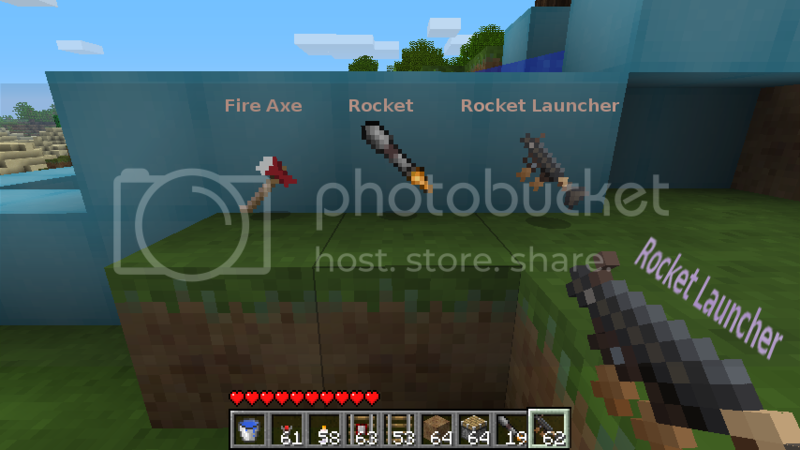 Here's a preview of some of the items, the Rocket Launcher replaces the bow and Rockets replace the arrows, Skeletons will be reskinned to look like the skeleton of the Soldier. The Fire Axe replaces the Iron Axe. I've also replaced the Iron Shovel with the Soldier's Shovel and replaced the Wooden Sword with the Sandman. I wanted to add health packs but I thought the current food items need to be kept as themselves so crafting still makes sense, so I replaced the apples until they have a proper place in the world. Apples are small health jars, Golden Apples are large med kits. Notch... What have you done?! Hey, if you're able to, how about the Golden Wrench or Saxxy for the Gold Sword?